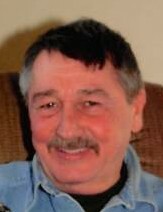 Gary E. “Coop” Carpenter, age 72, of Howard, passed away on Thursday, March 21, 2019 at his home surrounded by family. He was born on September 8, 1946 in Cleveland to the late Edward R. and Nellie J. (Kokal) Carpenter. Gary worked for GM for over 42 years, retiring in 2008. He also had worked part time for the Mount Vernon News. He is survived by his wife, Juanita (Robbins) Carpenter; six children, Gary (Michelle) Carpenter Jr., Laurie (Joe) Carpenter, Natalie (James) Carpenter, Jackie (Matt) Smith, Brian Carpenter, and Stephen Carpenter; two step-children, Robyn (Linn) Bebout, Christopher McCandless; four siblings, Mary Alta (Mike) Bohnovic, Cathy (Greg) Stoner, Edward Carpenter, Lynette (Frank) LaCava; 12 grandchildren, Krista, Mikey, Hannah, Chloe, Caiden, Olivia, Cole, Caden, Cameron, Rowan, Tessa and Emily; four brother-in-laws, Tommy (Cathy) Robbins, Herbert (Darnella) Robbins, Buddy Robbins and Robert Robbins. Gary was preceded in death by his parents, sister-in-law, Cindy Carpenter and a brother-in-law, Guy W. Robbins. Friends may call on Sunday, March 24, 2019 from 2:00 – 5:00 PM at Lasater Funeral Home, 11337 Upper Gilchrist Rd. in Mount Vernon. A funeral Mass will be held on Monday – 10:00 AM at St. Vincent de Paul Catholic Church.